UPDATE 4/12/2011: The Atlanta Business Chronicle has reported that the budget presented to and approved by the House and Senate today includes the $46 million requested by Gov. Nathan Deal for reservoir and water projects. Oconee and Walton county officials, who put forward a request to Gov. Nathan Deal last month asking for a $32 million grant to fund construction of the dam for the Hard Labor Creek Reservoir in Walton County, are now waiting to see if the reservoir program makes it into the state 2012 budget. Though the legislature is supposed to end its 40-day session on Thursday, details of the state’s budget still are not public. 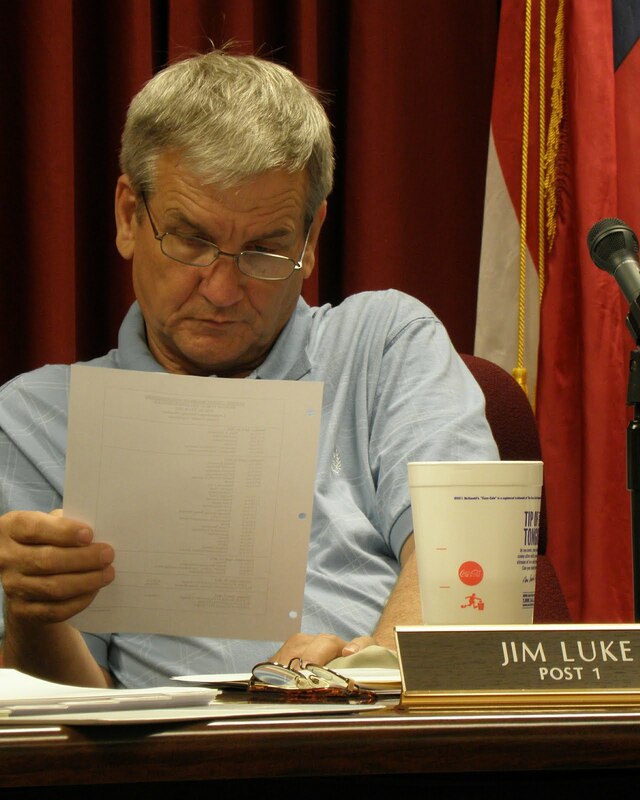 Hank Huckaby, who represents the 113th House District, told me in a telephone conversation on Friday that he expects the governor’s request for $46 million in reservoir funds to be in the budget. Huckaby said he plans to support the request and expects it to pass both houses. Huckaby is serving as one of Deal’s floor leaders in the House. In a letter Oconee and Walton officials sent to Deal dated March 18, the two counties asked for $12 million in fiscal year 2012, $16 million in fiscal year 2013, and $4 million in fiscal year 2014 for the reservoir. The letter was signed by Jim Luke, Oconee County commissioner and chairman of the Hard Labor Creek Reservoir Management Board, Melvin Davis, chairman of the Oconee County Board of Commissioners, Kevin Little, chairman of the Walton County Board of Commissioners, and Timmy Shelnutt, chairman of the Walton County Water and Sewage Authority. Jimmy Parker, vice president of Precision Planning Inc. of Lawrenceville, told me last week that the $32 million requested from the state would allow the two counties to build the dam, but they would still need another $79.2 million to build the water treatment plant and transmission pipes as well as cover other expenses of the project. PPI is the project manager for the reservoir. The total cost for the first phase of the reservoir has been estimated at $170,200, and the two counties have contributed $59 million. Oconee County has sold bonds for $19.5 million for the project. The total estimated cost of the Hard Labor Creek Reservoir project, including piping of water from the Apalachee River to increase its volume, is estimated at $350 million. The counties have stopped construction work on the dam because of a lack of money to complete the project and lack of current demand for the water it would provide. The governor has proposed that the state sell $46 million in bonds to create a fund for reservoir development and create a fund of $300 million over the next four years for that purpose. Huckaby said it is his understanding the bonds would be retired through general revenue of the state. Huckaby is from Oconee County and is the county’s citizen representative on the Hard Labor Creek Reservoir Management Board. All of Oconee County falls in the 113th District, which also includes parts of Clarke, Morgan and Oglethorpe counties. 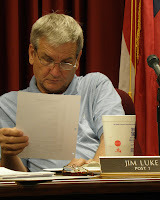 The letter sent by Luke and the others to Deal had been approved by the Board at its Feb. 15 meeting, according to Huckaby and Parker. The official minutes have not been released. Huckaby said the issue of interbasin transfers of water is “touchy” in the legislature because it pits downstream water interests against upstream demands. The Hard Labor Creek Reservoir is in the Oconee River basin and metro Atlanta is not, so transfer of water to Atlanta from Hard Labor Creek Reservoir would be an interbasin transfer. If the legislature does authorize Deal’s reservoir program, the state will have to develop criteria for allocating the money to applicants such as Oconee and Walton counties, according to Huckaby. “There are a lot of issues still to be resolved,” he said.